I thought it might be fun to take a look back at the most popular posts from 2013. 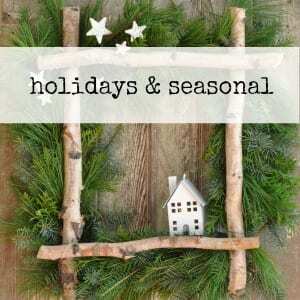 I wrote 137 posts this year -a new all time high That’s a lot of recipes, parties, and projects! Hope you enjoy the highlights. 10. 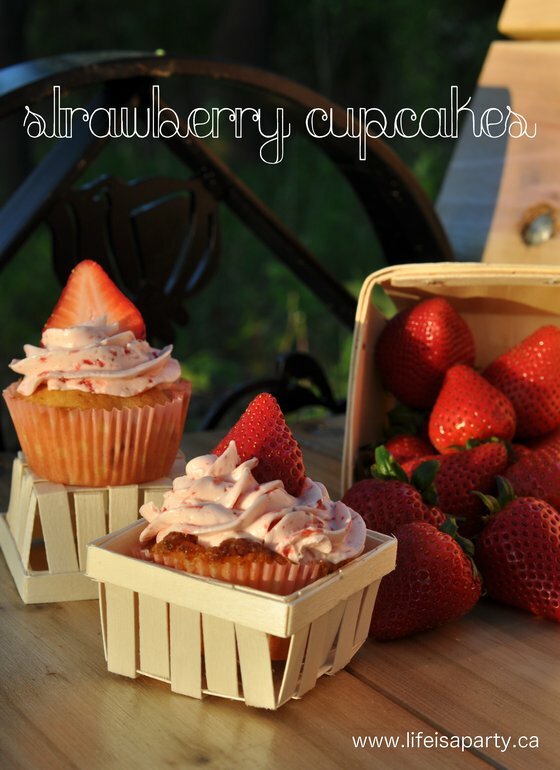 Coming in at number 10 -Strawberry Cupcakes! And they really were so, so good. I had fun taking the pictures too, with the photography class I signed up for. They changed the course description after I signed up, and what I thought was a basic photography course turned into an outdoor photography class. 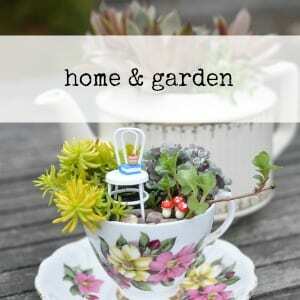 Not as helpful when it comes to photographing projects, parties and food for the blog. What’s a girl to do? In an effort to make lemonade out of lemons, I starting taking baked goods every week and photographing them whereever we were…on the steps of a church, in an abandoned lot, or at a conservation area. Best part, my classmates loved the treats I brought. 😉 These cupcakes were very popular with everyone. 8. 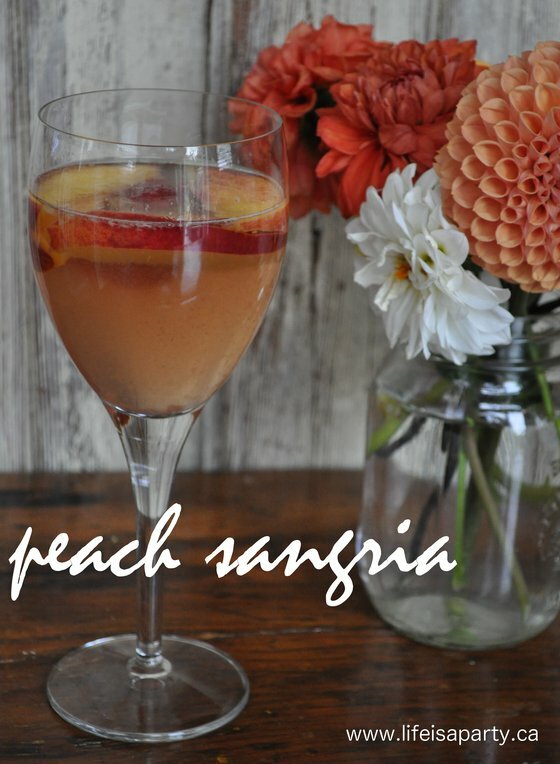 Peach Sangria -I bought the ingredients for this drink, and was planning on making a batch when the most perfect reason came up. One of my loveliest friends, who lives 3 hours away, dropped by with her family on her birthday. My sweet husband ran to the bakery and picked up a cake, and I made up a batch of this, along with some appetizers. I will always think of this little impromptu party when I make this again, and I will definitely make this again. It was delicious! 7. 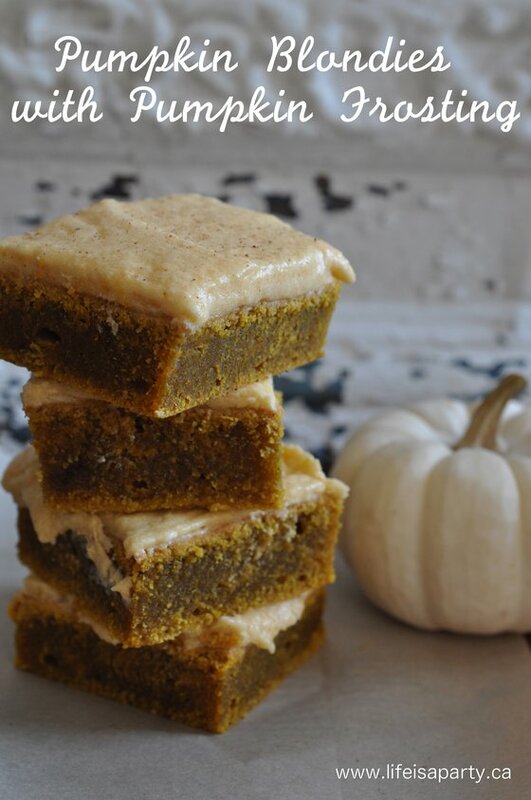 Pumpkin Blondies -The pumpkin blondies were a little idea I had when I was thinking about different pumpkin recipes for the fall. I’m not a huge chocolate fan, so I’d take these over brownies any day. 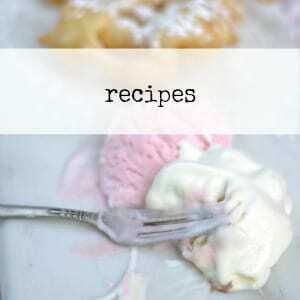 We made several batches of them over a couple of weeks because they were so good. Not surprised they made the top 10. 6. 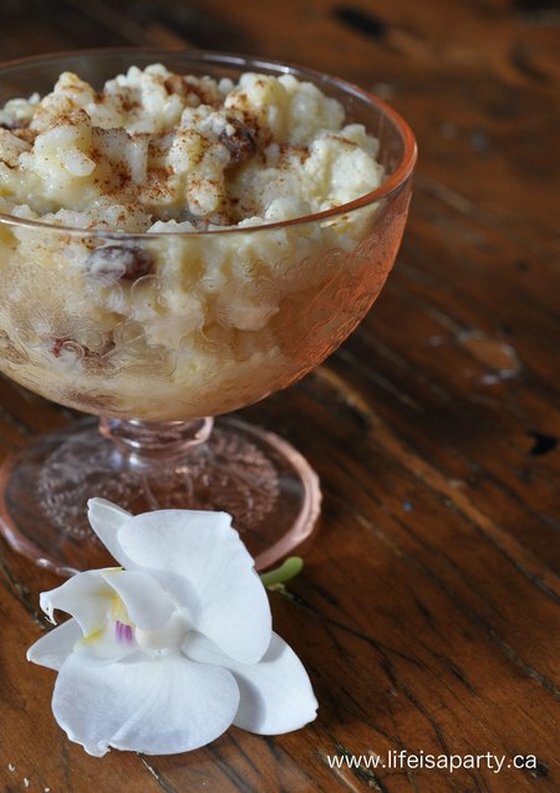 Rice Pudding -I attempted rice pudding when I first got married and it was a complete fail. I’m so glad I tried again, because this was a lovely treat. It was ready just as my girls got home from school, and my husband was working from home that day. We sat at the kitchen table and had dessert before dinner together. It was really good, and easy too. 5. 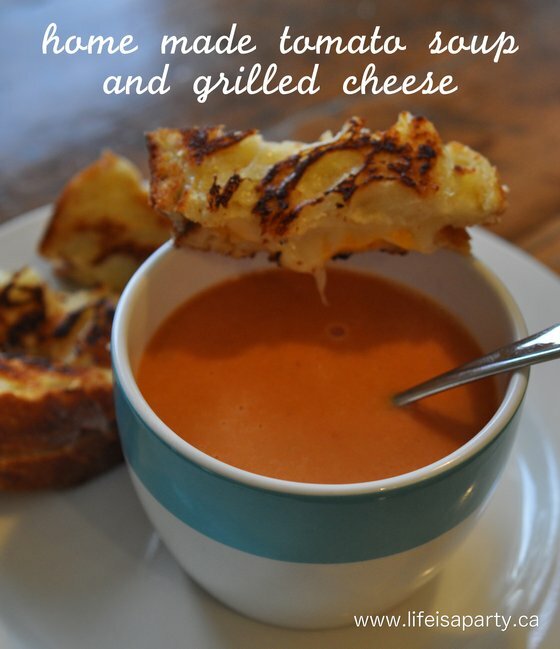 Home Made Tomato Soup and Grilled Cheese -There is pretty much no better comfort food combo, is there. This was simple to make and so, so yummy. 4. 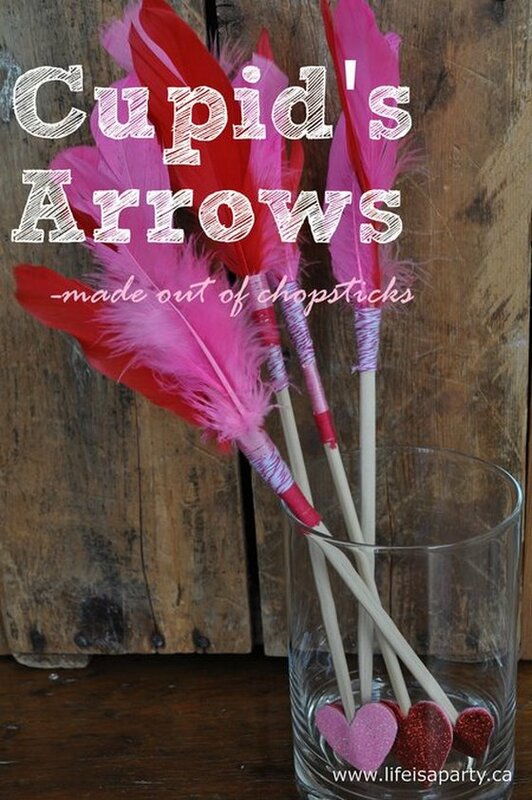 Cupid’s Arrows Valentine’s Day Craft -We went out for Vietnamese food one day, and the girls wanted to bring home the disposable chopsticks from lunch. 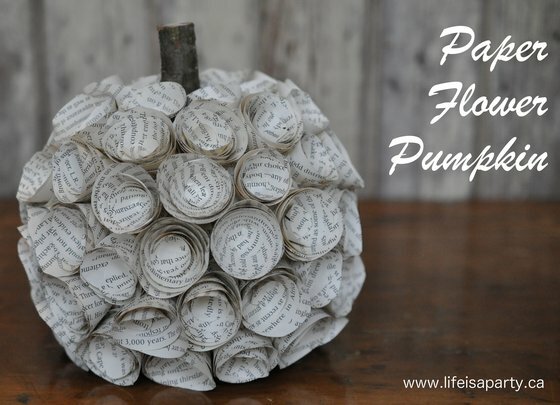 We thought up this fun craft to make with them. They were a fun bit of whimsical decor for Valentine’s Day. 3. 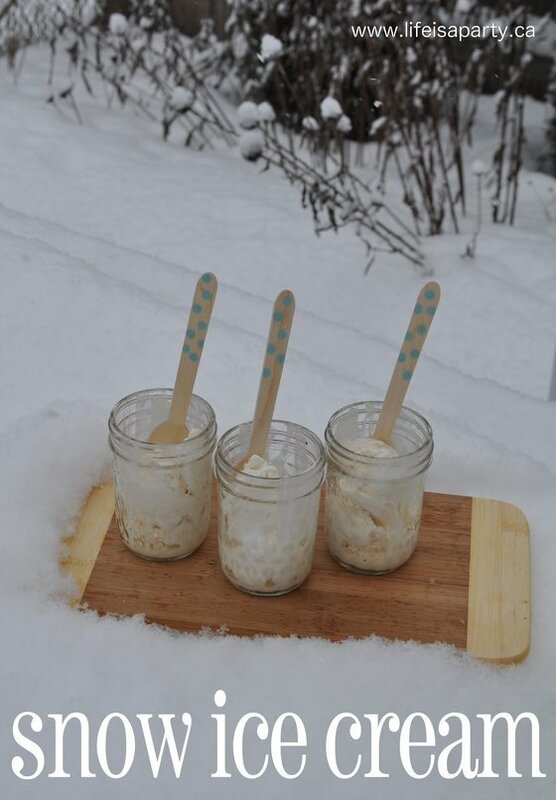 Snow Ice Cream -My husband had to work one Saturday last winter, and it snowed. I had been wanting to try snow ice cream, so the girls and I spent our afternoon playing in the fresh snow together and enjoying snow ice cream. It was so much fun for the girls, they couldn’t wait to tell Daddy when he got home. If you live where it snows, I highly recommend this little project. 2. 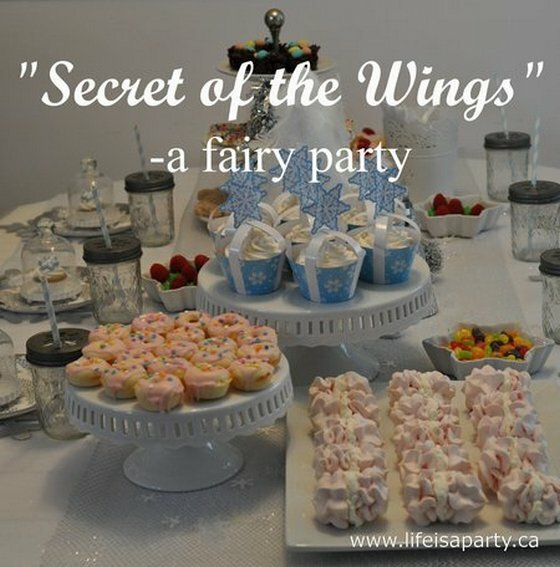 Secret of the Wings Birthday Party -Our friend Tara wanted a Secret of the Wings fairy party, and her Mom did an amazing job. All the details were so pretty, and the food was amazing. 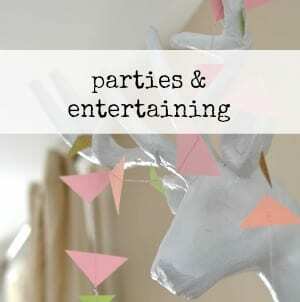 If you need an idea for a little girls party, you’ll want to have a look at this post. And even if you don’t have a little girl at home, you might be left wondering, can grown-ups have fairy parties too? 1. 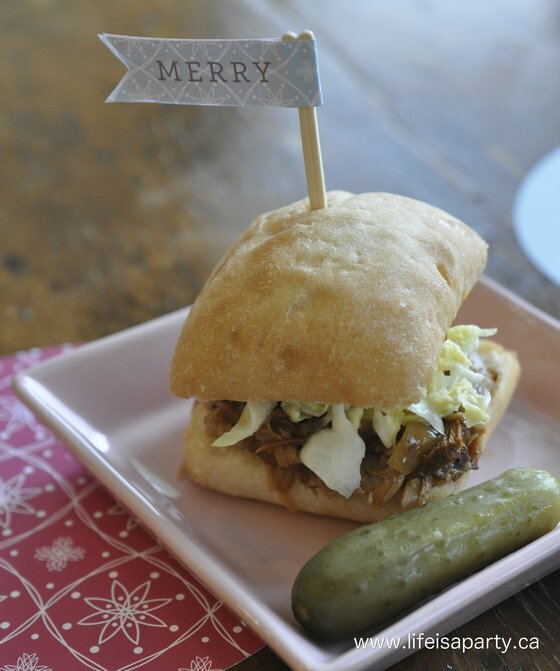 Christmas Party Food on a Budget -The number one post of the year, and it was only posted a month ago, so it’s quickly risen to the top (thank you pinterest). I did the whole party for around $100, including drinks. 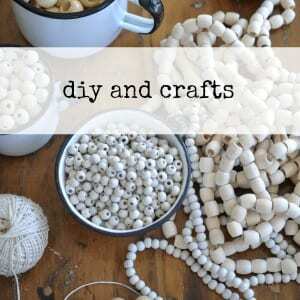 If you’re looking for some ideas for your New Year’s Eve party you might like these ideas too. Since everyone’s on a budget here’s how to serve up some great treats and not bust the bank. And here’s a couple posts that didn’t reach the top ten, but were some of my very favourites. Click here and here to see two of my favs. With all these great ideas to look back on, life really is a party. Wishing you and yours a very Happy New Year and every blessing for 2014!